On a random weeknight Target run, the graphic tee I’m pictured in above caught my eye, so I picked it up, along with the Mrs. tee as well. The Trophy Wife tee is the cause of a lot of controversy as seen in these articles here, here and here. I honestly don’t see what the big deal is at all. 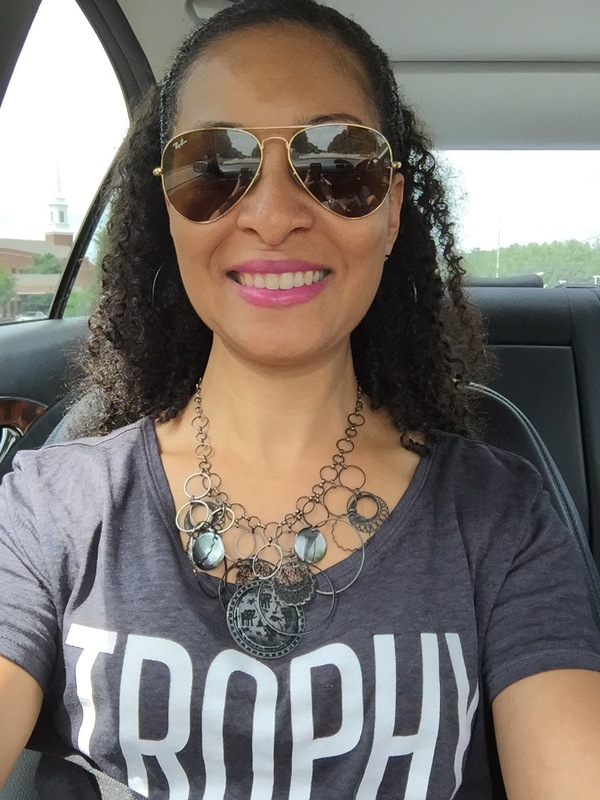 I wore my Trophy Wife Graphic tee out proudly while spending the day with my Husband! There is truly so many other more pressing and important things going on in the world, other than fighting one of my favorite stores over a graphic tee! Let Target live!!! Do you have an issue with the Trophy Wife graphic tee? This entry was posted in Shopping, Target, Wordless Wednesday. Bookmark the permalink.